Thank you to Evan and everyone at Okotoks Nissan. They really live up to their #nicestnissanstorearound. They treated me with respect and the customer service was outstanding. I came from Airdrie and I’m glad I did it was well worth the drive. Keep doing what you’re doing!! Evan Campbell is a no B.S. young man who I will go to every time I need a new vehicle . He is the best. Kudos to his GM for negotiating a very fair deal. 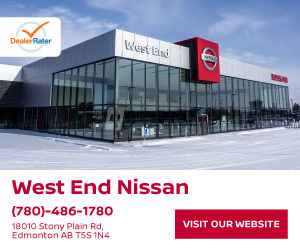 "I am not easily pleased but I was with Evan Campbell"
My search for a Nissan for my wife ended up with and email to Nissan Okotoks and Evan responded. All followed up with informative information and the replies were efficient. Made the big decision to drive to Okotoks in the bad winter weather just because Evan did a good job in assisting me. Thank you for delivering the car to our residence considering the circumstances. Also abig thanks to Steve Tran - You know it Steve. Good job and keep it up. We purchased our 2nd Titan from Okotoks Nissan just before Christmas and had an excellent experience dealing with Evan. He was very knowledgeable and not at all rushed when helping us get acquainted with the new purchase. We love these vehicles and would look for Evan again should we be in the position to buy another. Highly recommended. Thank you so much for taking the time to leave such a great review! You truly are a valued customer and I look forward to seeing you again. Don't hesitate to call me should you need anything. Evan. "Best experience in a dealership"
Honestly the best experience I’ve had in a dealership. Even was super friendly and Provided me with excellent service. My purchase was over the Christmas holidays and was surprisingly hassle free. Thanks Evan! Purchased a 2018 Maxima via Evan and the whole experience was excellent! Evan is very friendly, knowledgeable, professional, and straight forward. We would not hesitate to send family/friends to Evan! Very good experience with Evan and Team involved with my purchase. No hassles, no pressure and a very fair value for my trade towards my new purchase. After sales service so far has been excellent for questions and maintenance service. Evan was very helpful and knowledgeable about the vehicle. 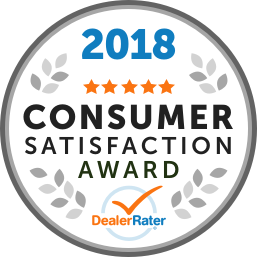 Able to answer all of our questions, we never felt pressured and after a couple of test drives we felt confident in our purchase. We love our new Murano! Evan is a great guy attentive and always there to help thanks evan.Even though we did not purchase anything when we decide too this is where we will go.